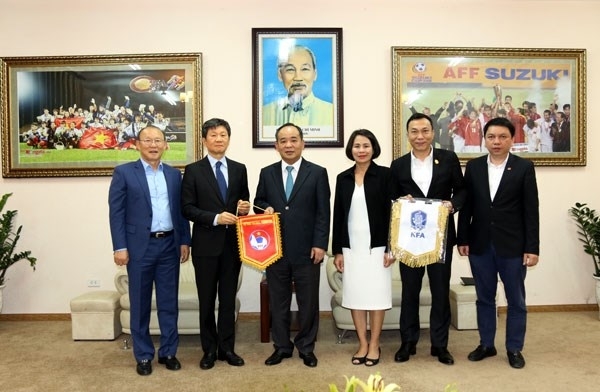 AsemconnectVietnam - Friendship between the people of Vietnam and the Republic of Korea (RoK) has been deepened through football activities, President of the Vietnam Football Federation (VFF) Le Khanh Hai has said. He made the remark while receiving President of the RoK’s Football Association (KFA) Chung Mong-gyu in Hanoi on April 2. At the meeting, Hai thanked the KFA for its support for Vietnamese football over the years. He also spoke highly of the contributions made by Park Hang-seo since he became head coach of the men’s national and U23 football team. The RoK coach has helped Vietnamese football gain historic achievements, namely as the runner-up of the Asian Football Confederation (AFC) U23 Championship in 2018, one of semi-finalists of 2018 Asian Games, and the winner of the AFF Suzuki Cup later that year. 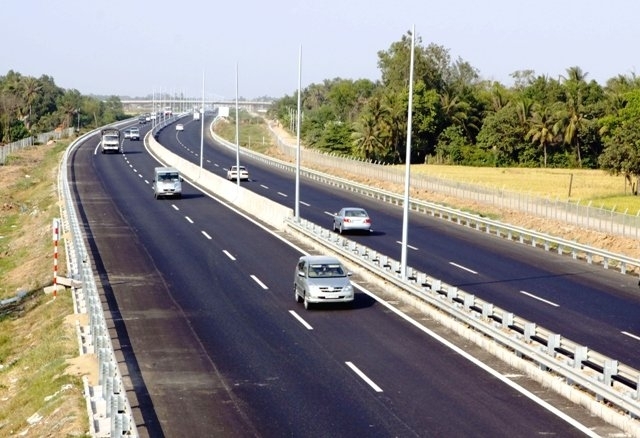 Vietnam also entered the quarterfinals of the 2019 Asian Cup and most recently, the U23 squad won all of its matches at the qualifying round of the 2020 AFC U23 Championship. Football fans in the RoK have been gradually paying more attention to and supporting Vietnamese football and vice versa, Hai added. In reply, Chung Mong-gyu extended his congratulations to recent the achievements of Vietnamese football. He voiced his belief that based on the sound relations between the two countries’ football sectors over the last 20 years, the VFF and KFA will bolster cooperation in various fields towards future joint development.